Scrap Paper Scissors etc. 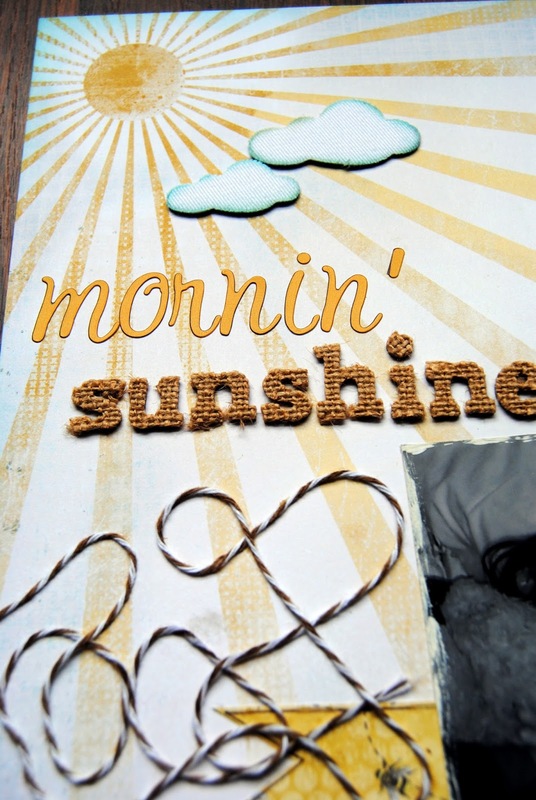 : Mornin' Sunshine! At least the sun has returned this morning.....looks like a gorgeous day out there. Just stopping by with a layout, before we head out to look at more cute, cuddly bundles of fur........there's a puppy out there waiting to come home with us........not sure who's more excited about that, myself or my girls! 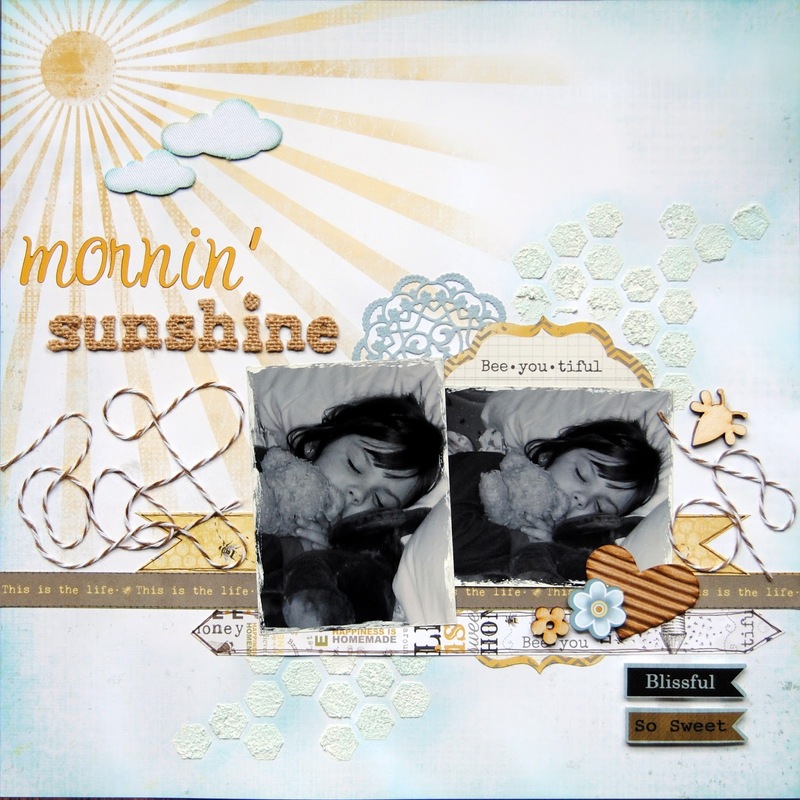 Anyhow, today's page is the final scrapbook layout using my recent DT Kit from Two Scrapbook Friends. 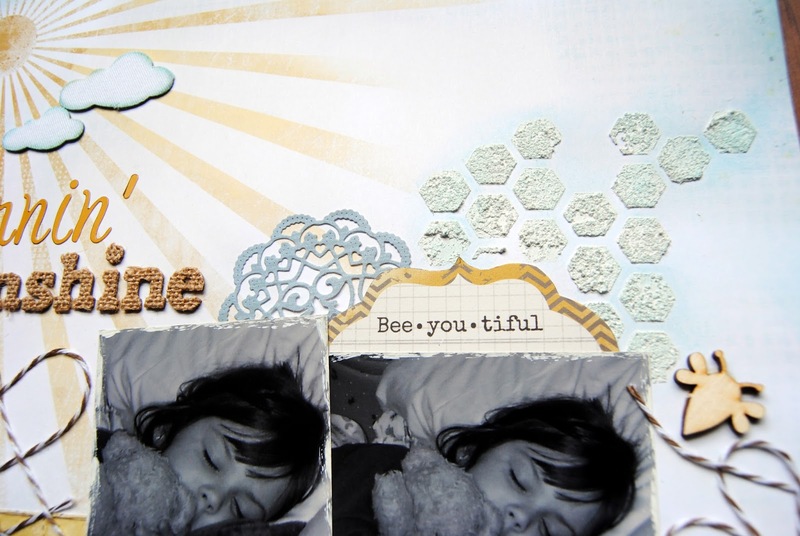 Again it's using the 'Bumble' collection by Adorn It and I LOVE the background paper I used for this one. Most of the background work is done for me, but I did add a couple of inked clouds and some messily scattered Bakers Twine. There's also some Martha Stewart texture paste used in combination with a hexagonal stencil, and I inked over top with a little Distress Ink. The layers are made up of a combination of the patterned papers, die cuts and stickers all available in this collection. Oh.....I almost forgot the quirky affection I have for adding a little white out around the edge of photographs! That just about covers everything for today. I'll be back tomorrow as it Wednesday.....Little Red Wagon Day! 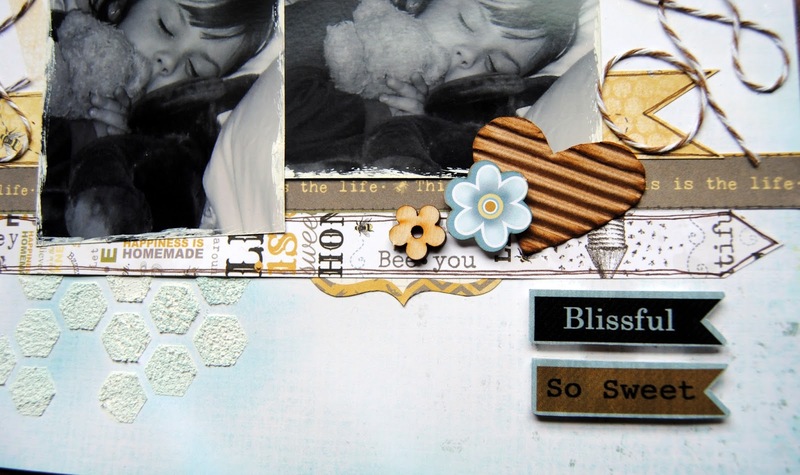 Love the layout, colour scheme and multi medium background, and of course the little heart! New puppy will have to come scrapping with us!! Grandma Dee loves puppies too! I totally adore this layout Jayne! Everything about it is pure brilliance!